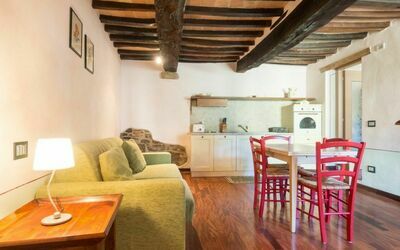 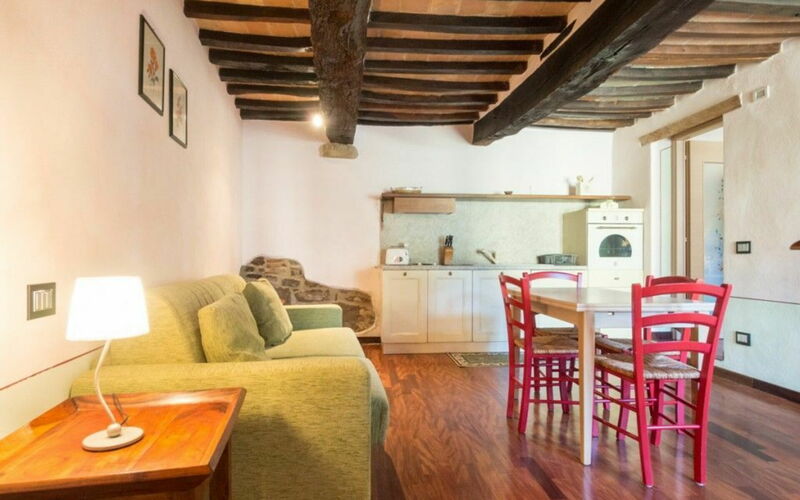 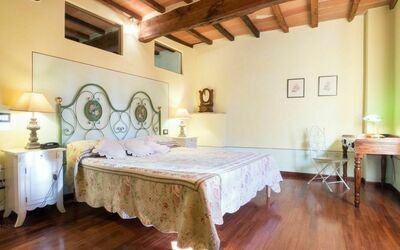 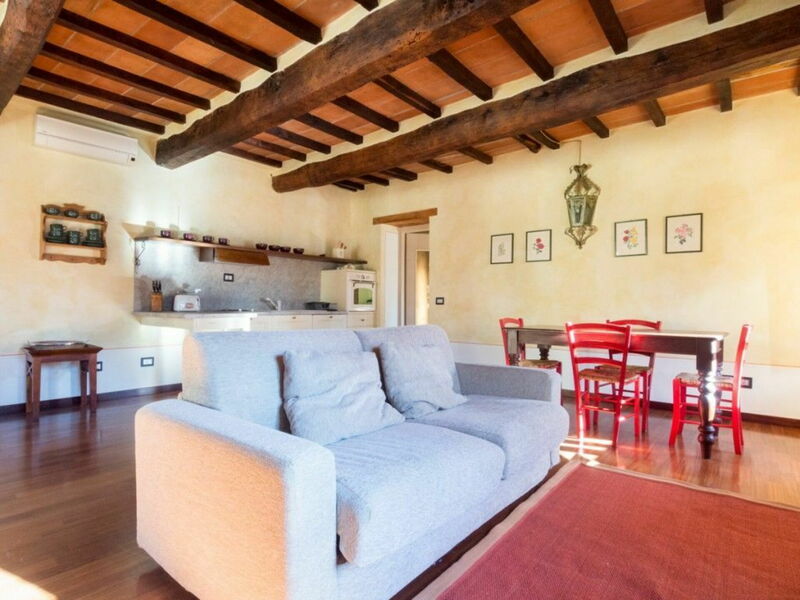 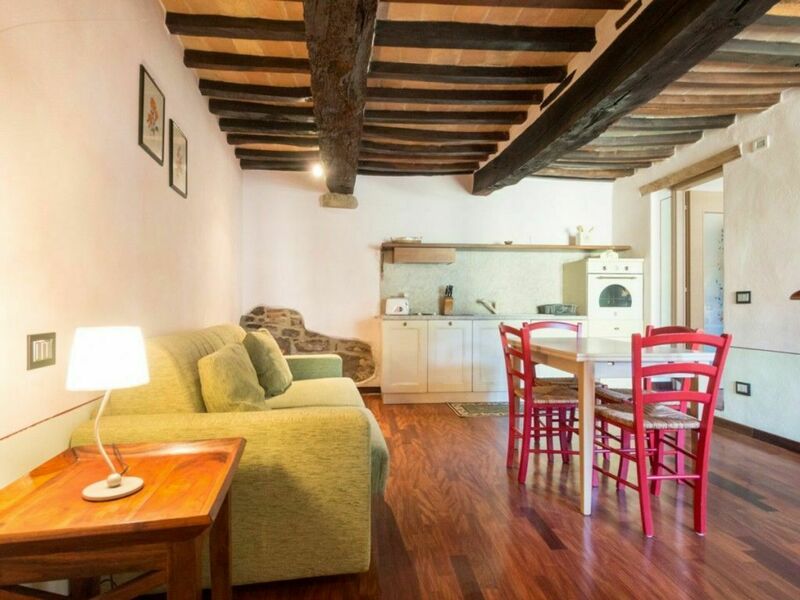 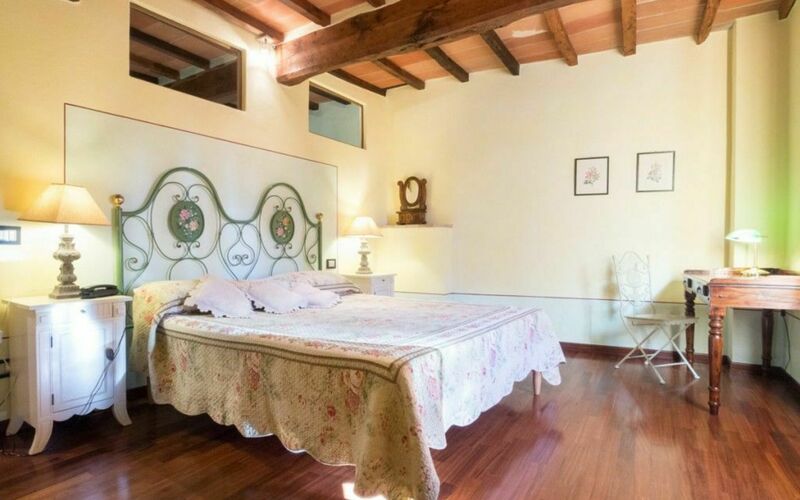 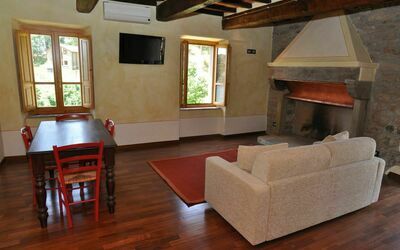 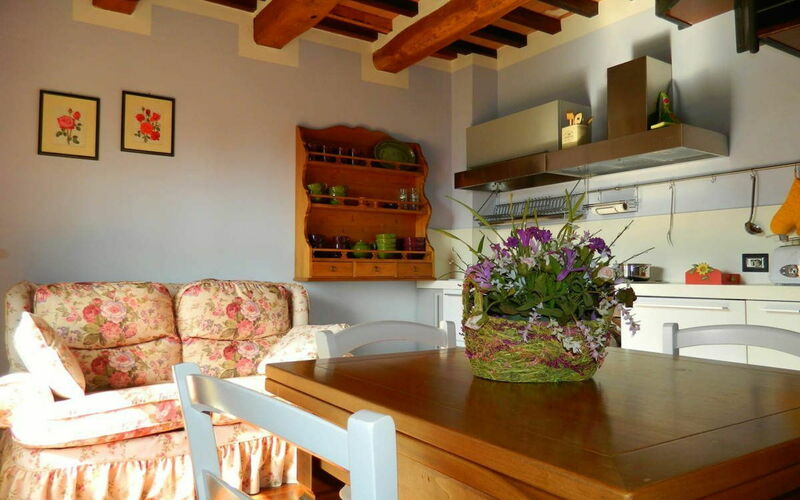 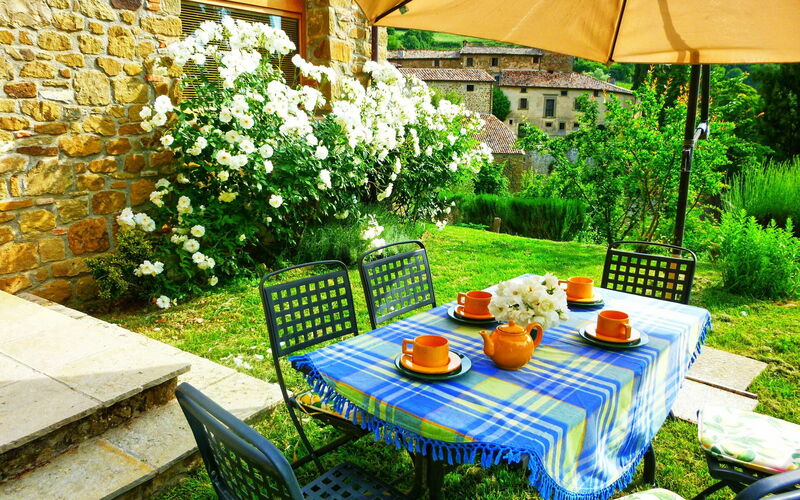 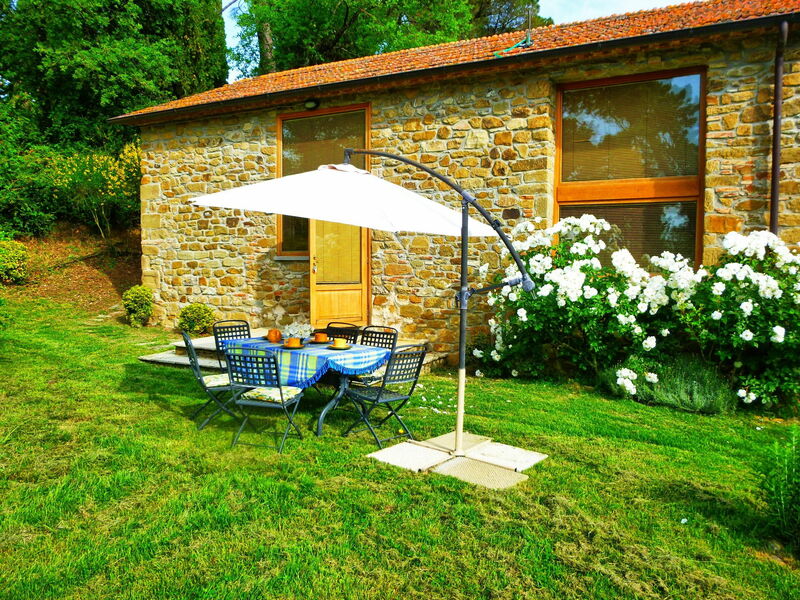 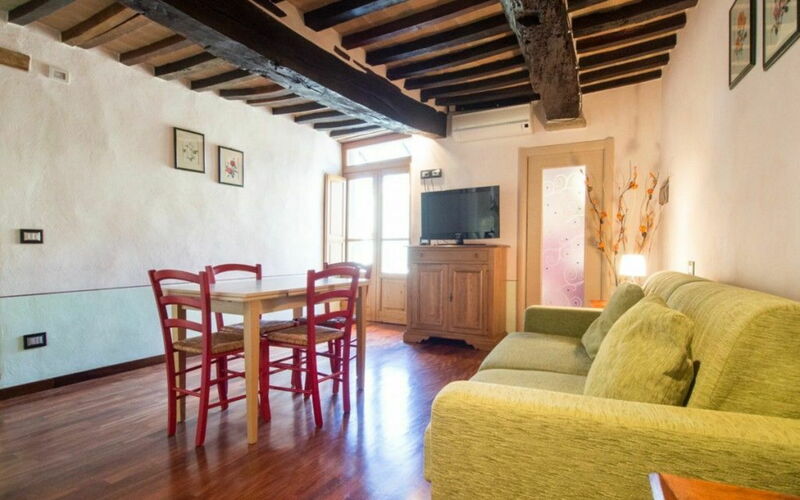 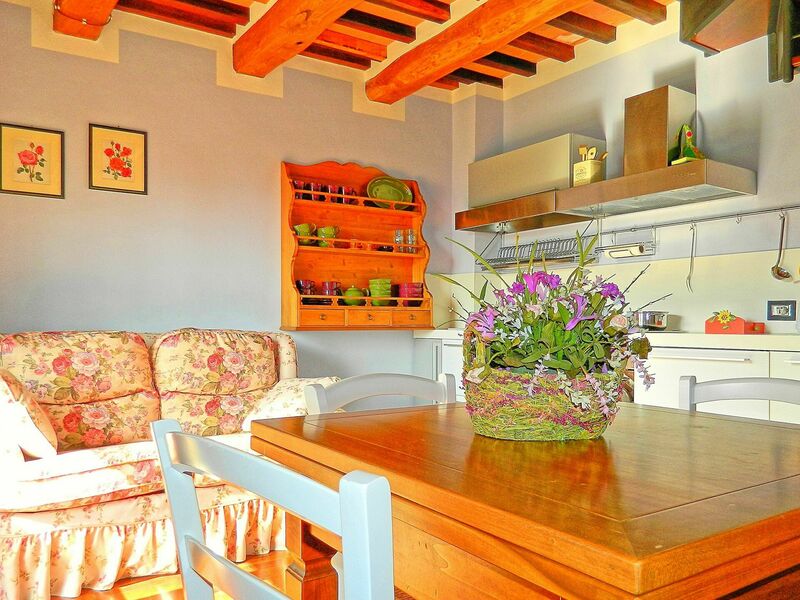 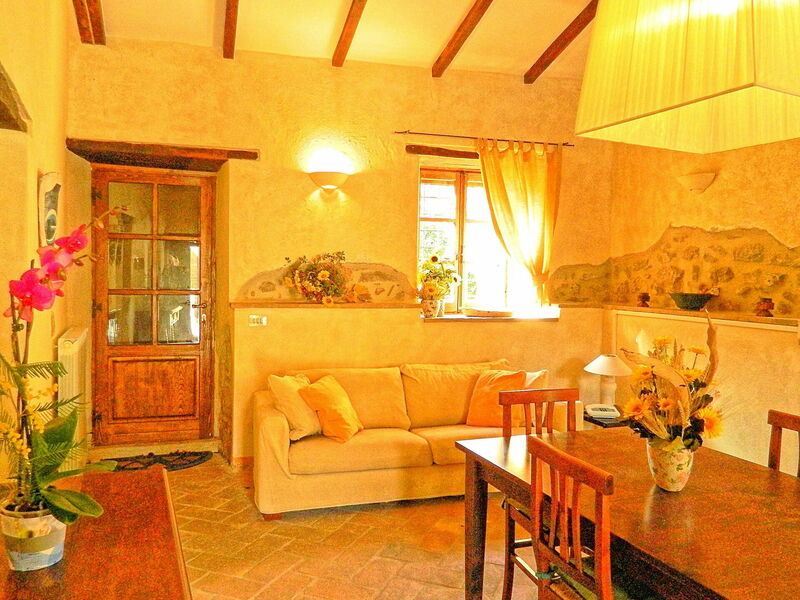 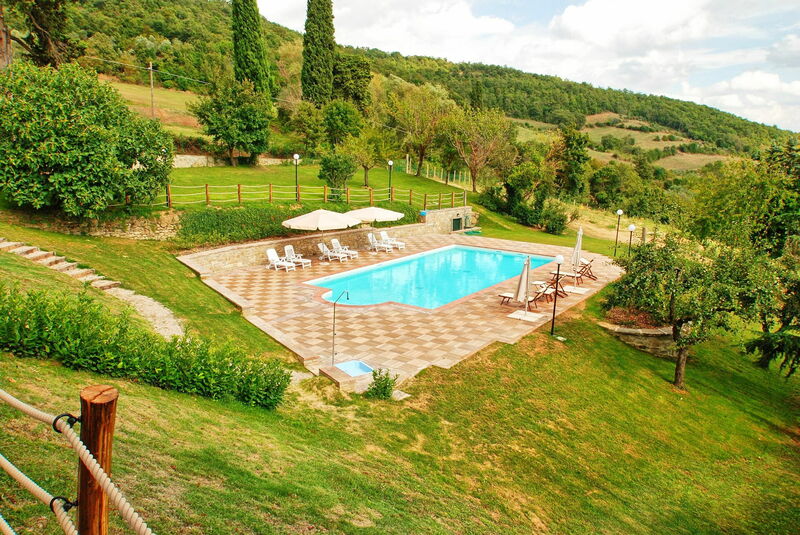 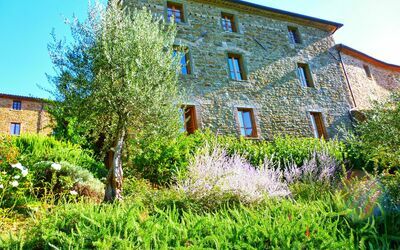 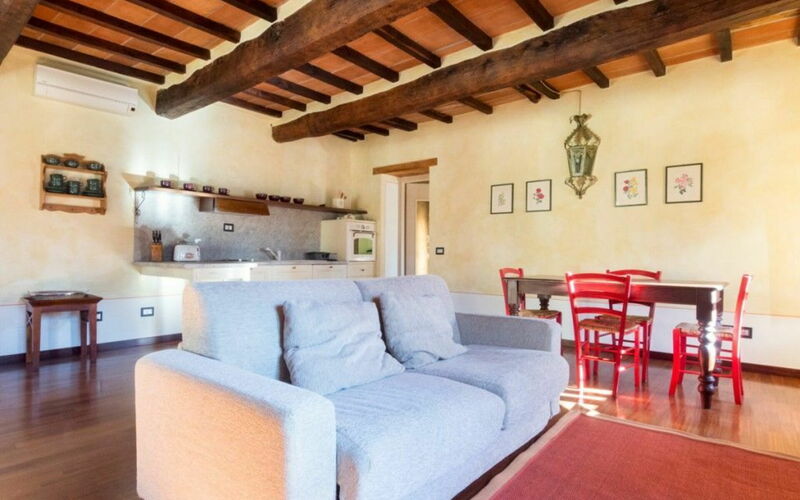 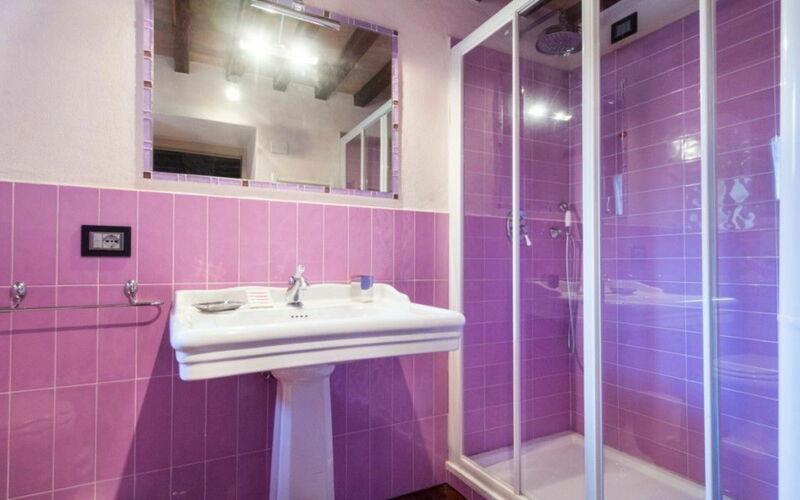 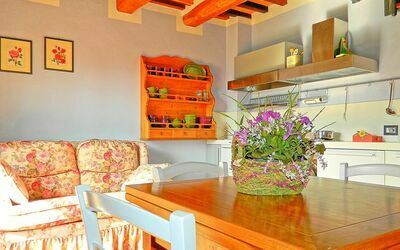 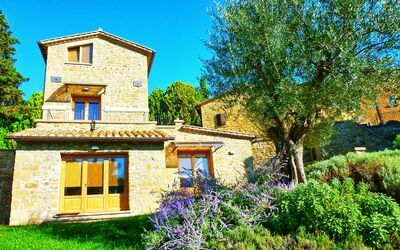 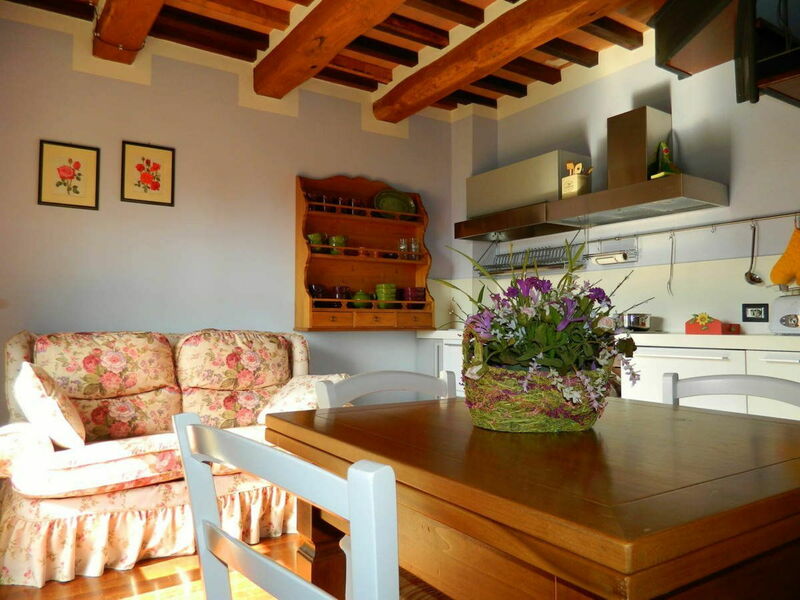 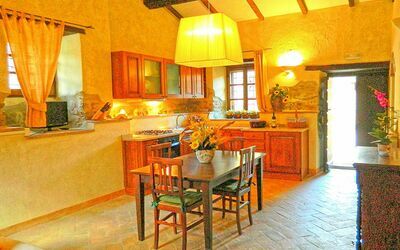 Beautiful hamlet dating back to 1600, in a strategic location on the border of Tuscany and Umbria, facing south onto the splendid Valtiberina valley. 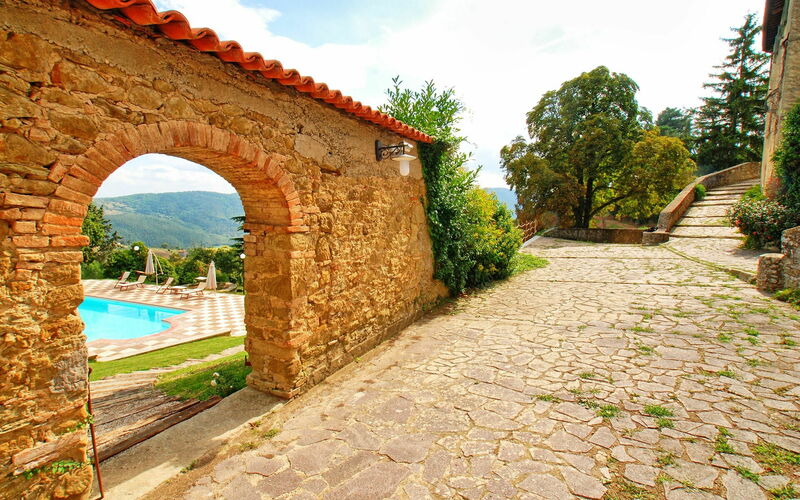 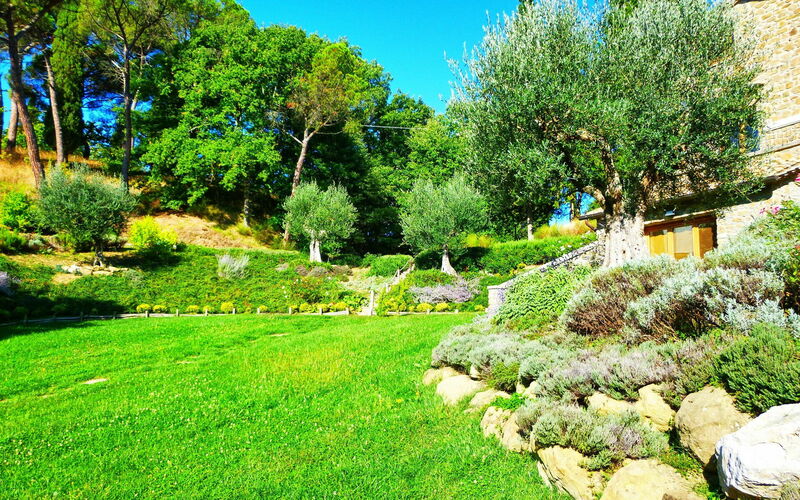 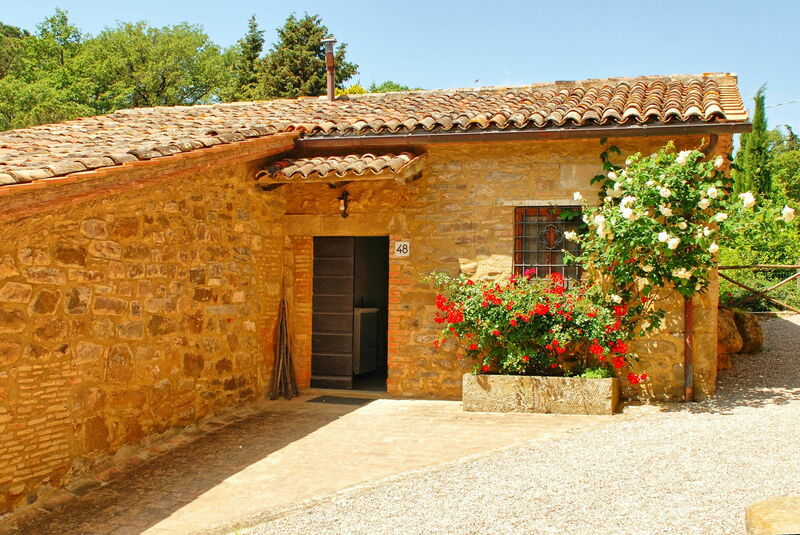 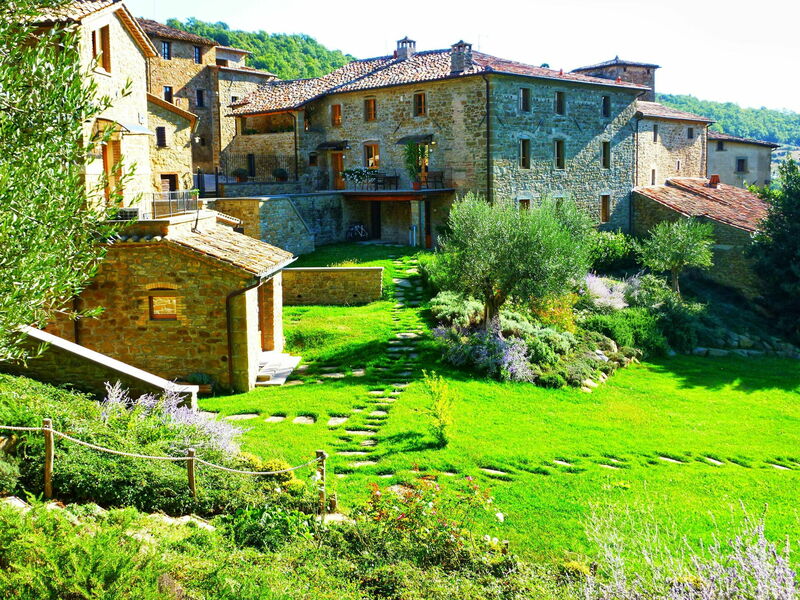 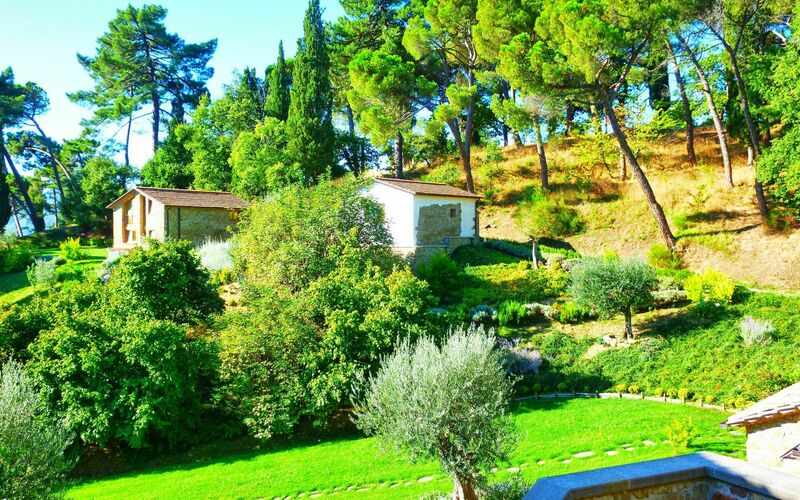 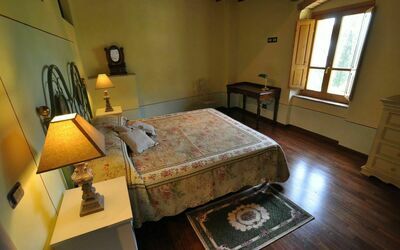 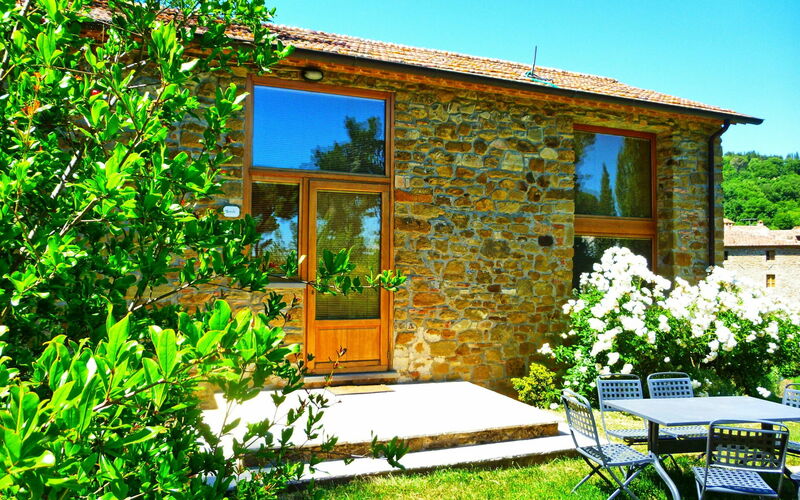 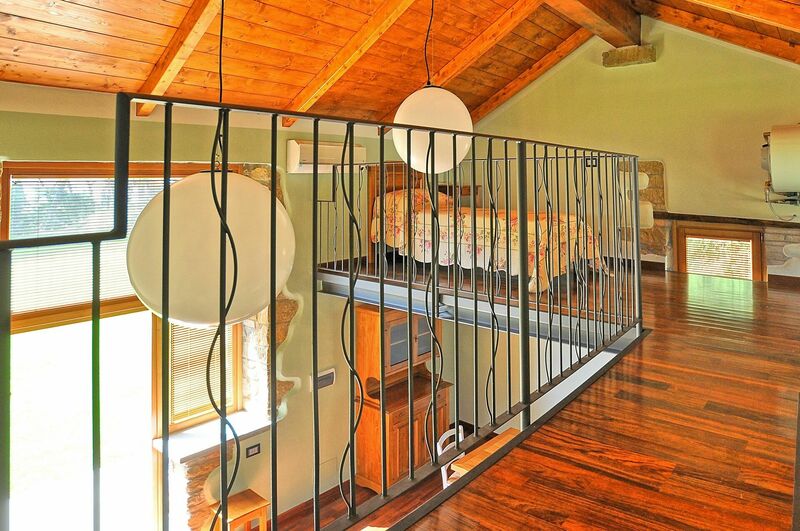 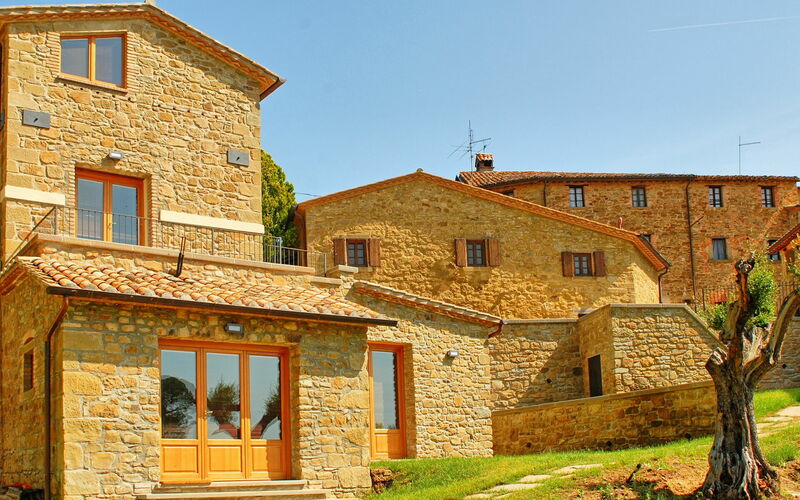 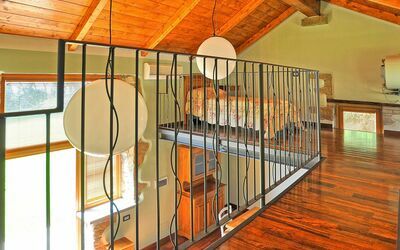 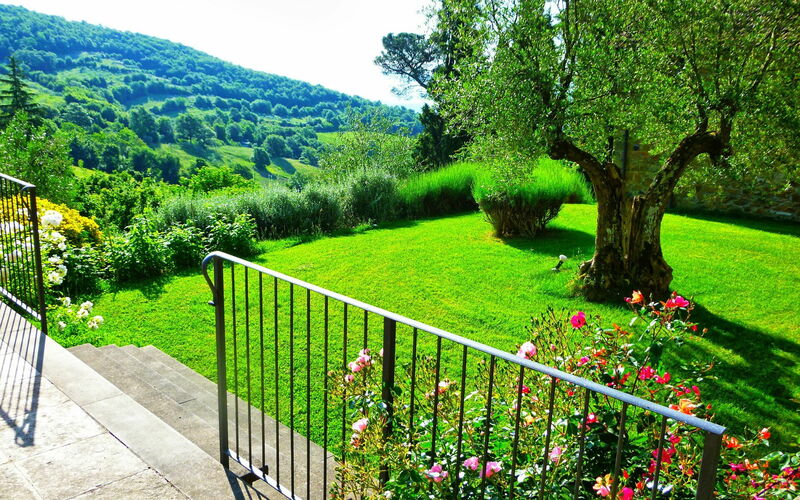 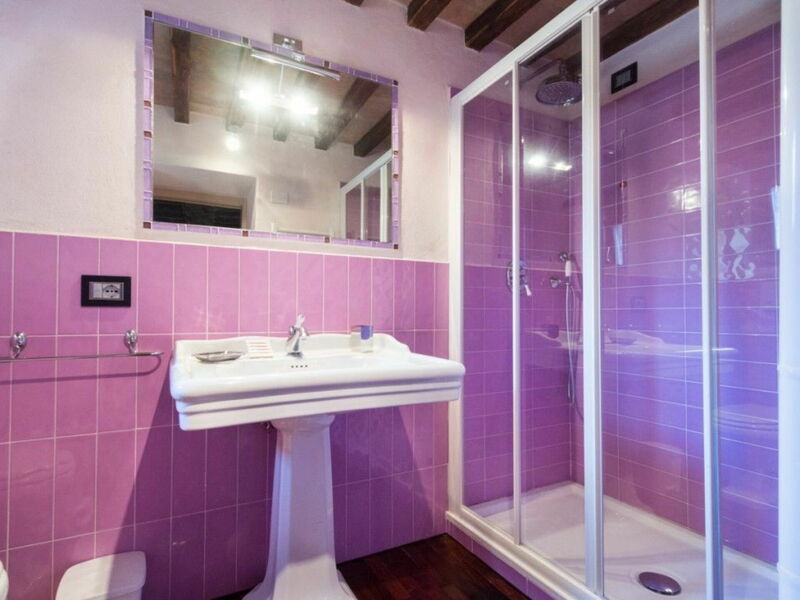 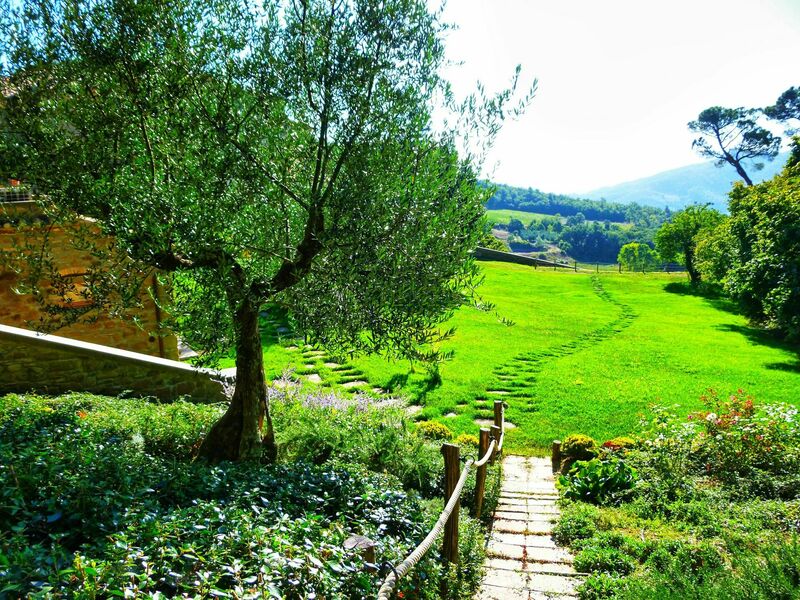 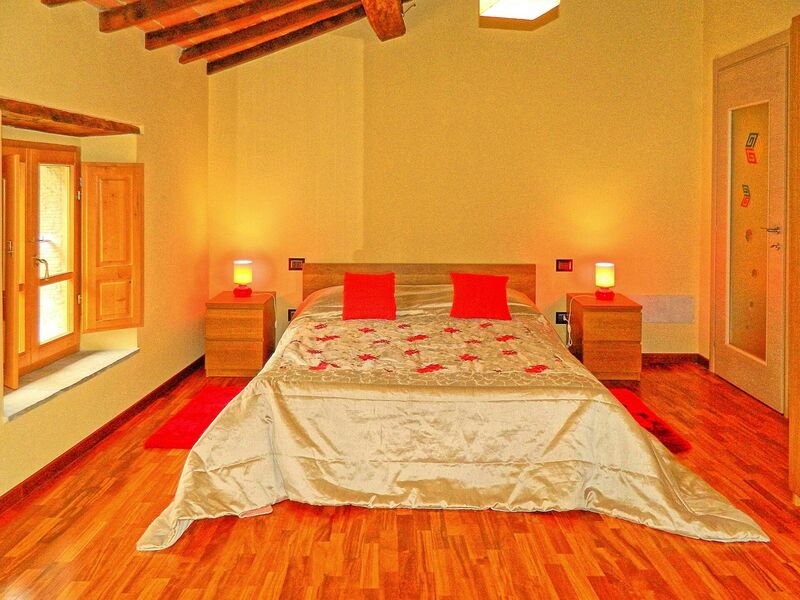 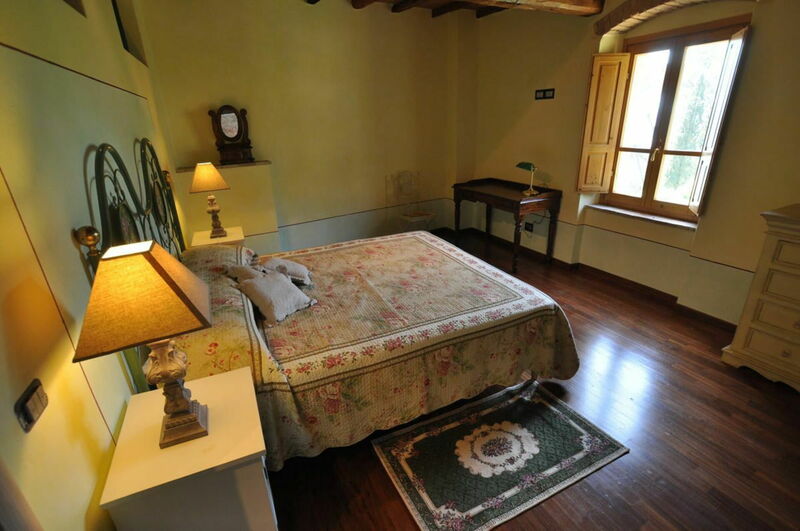 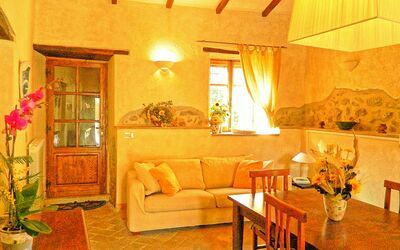 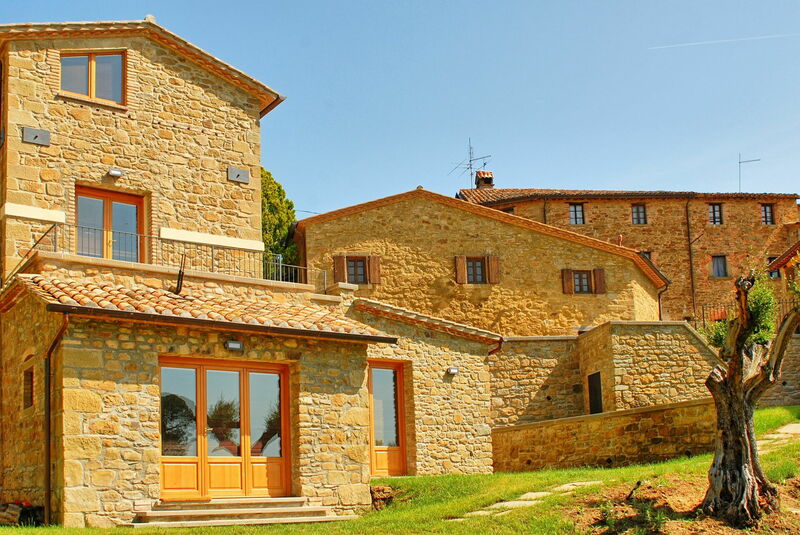 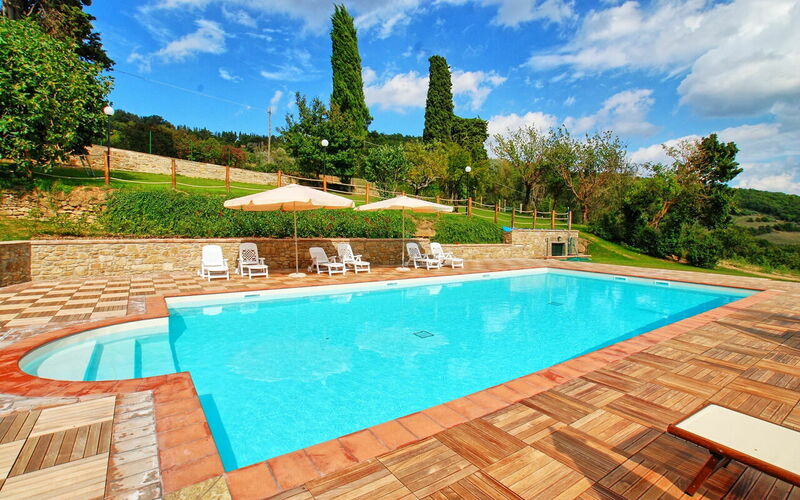 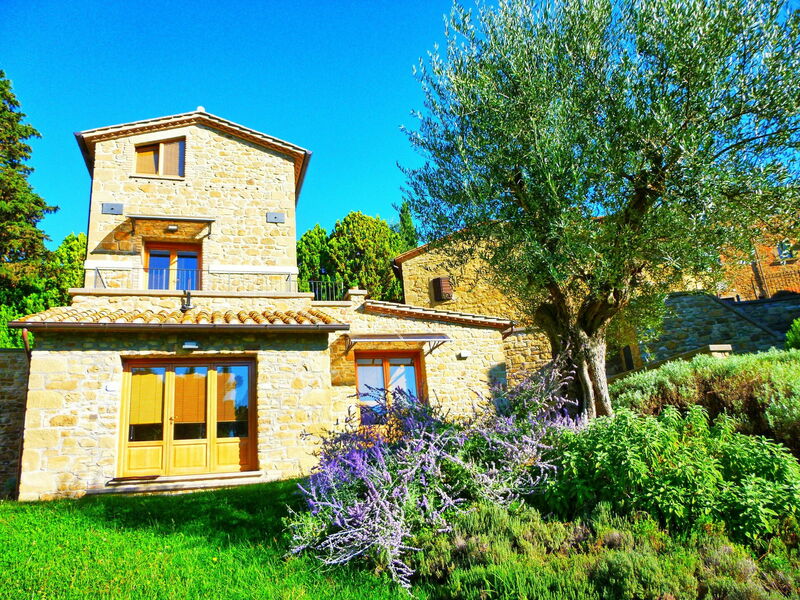 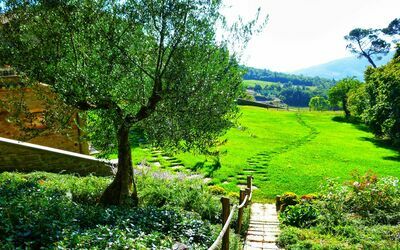 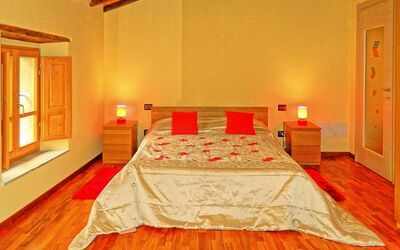 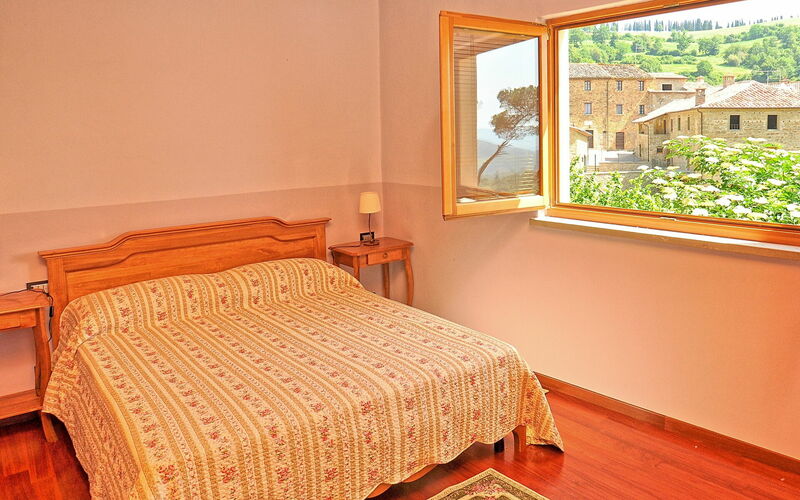 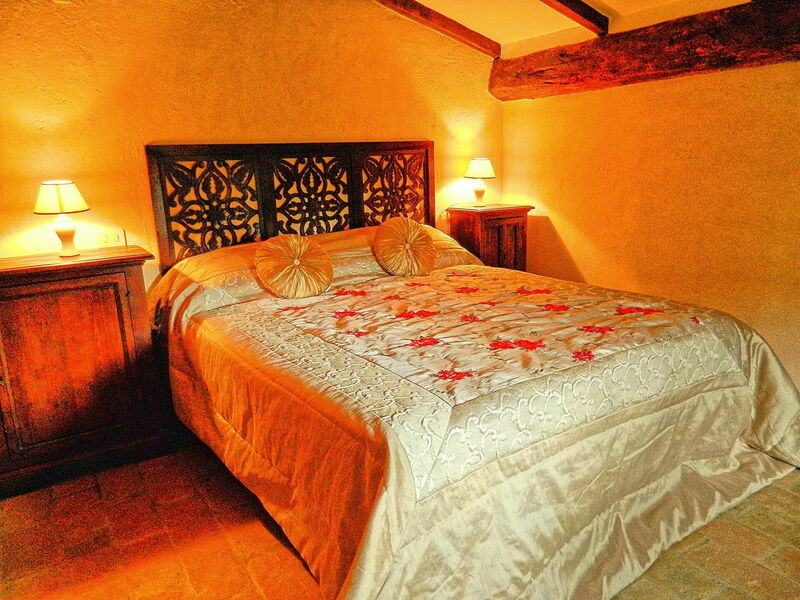 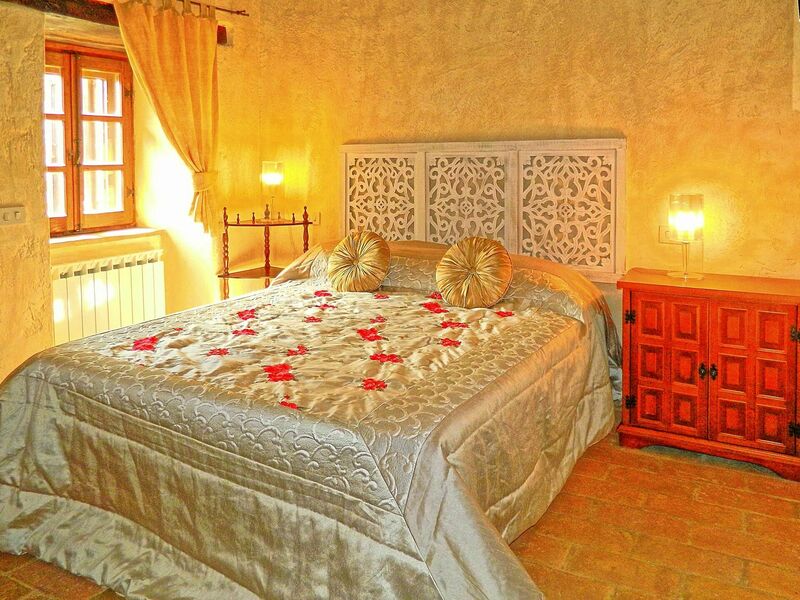 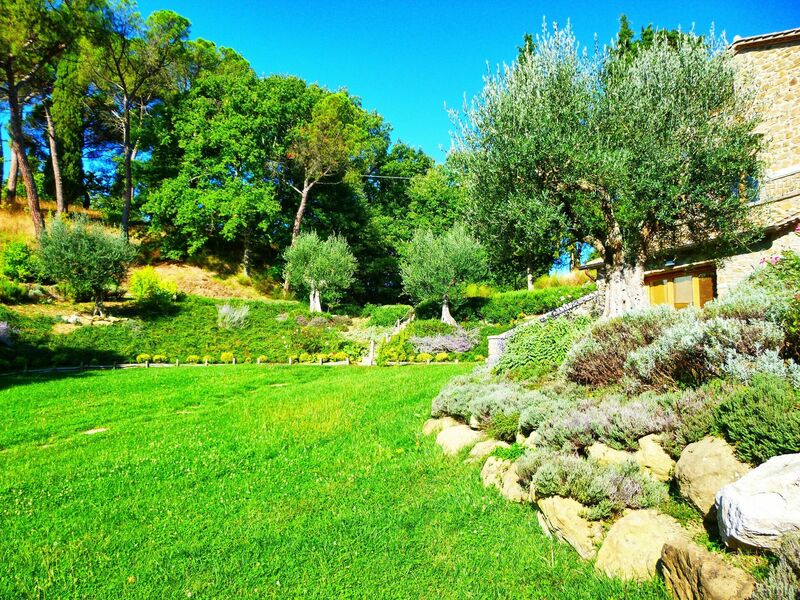 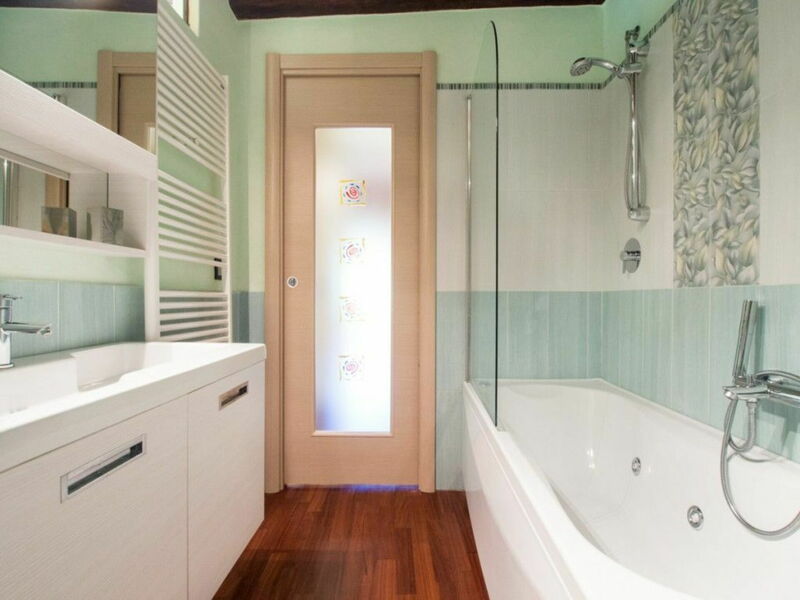 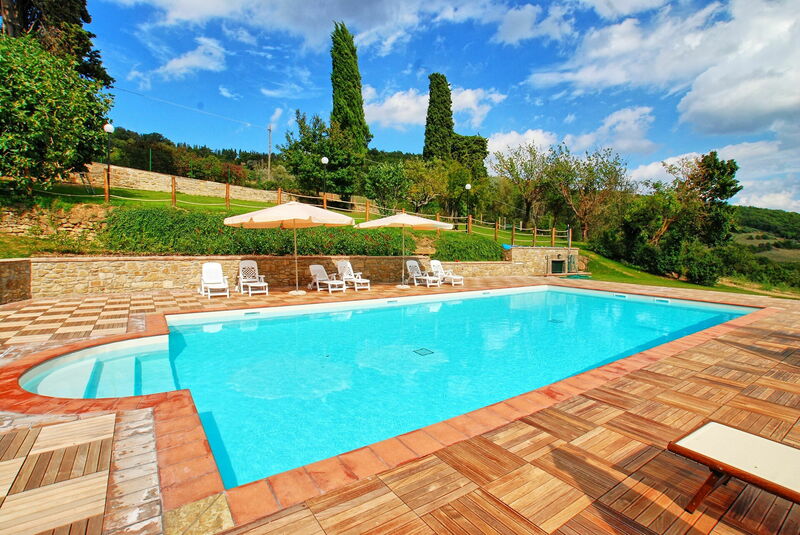 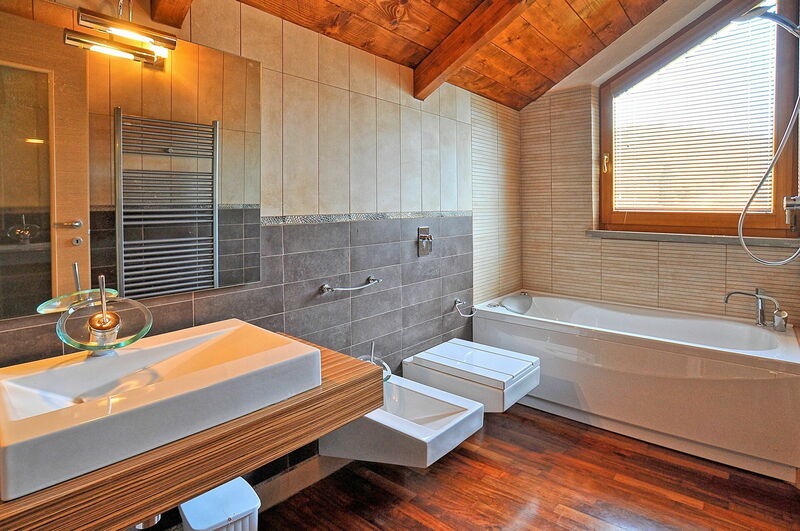 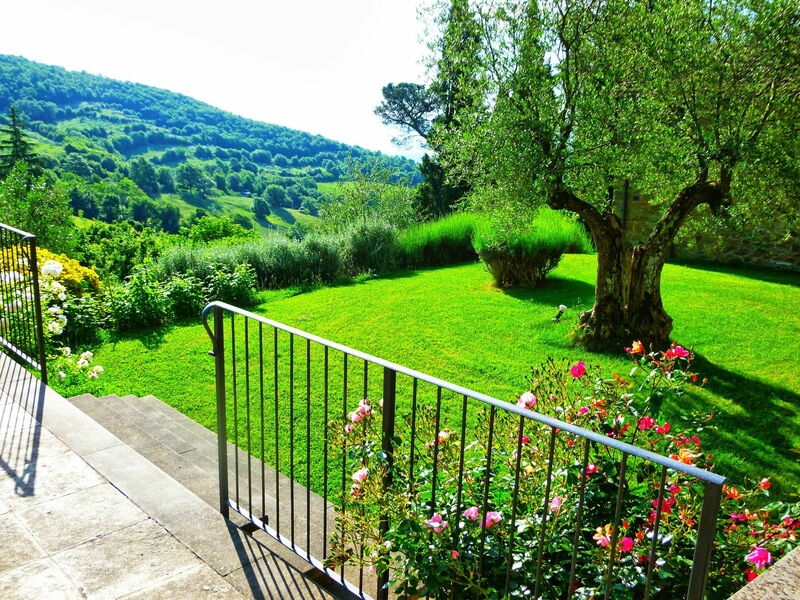 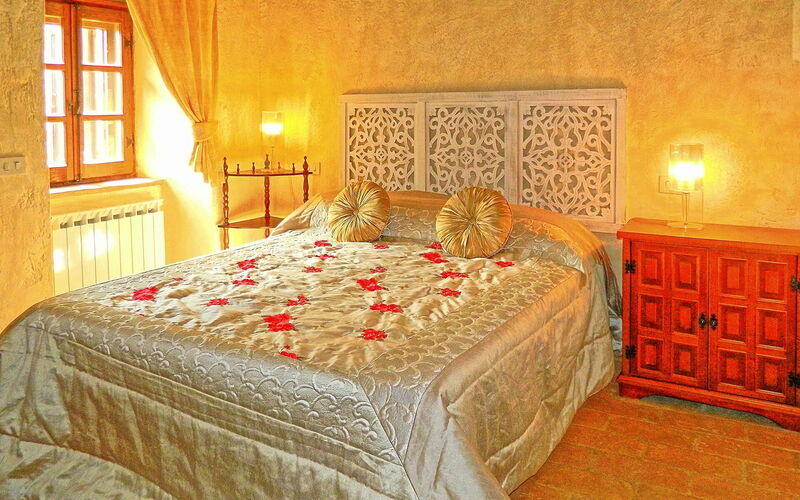 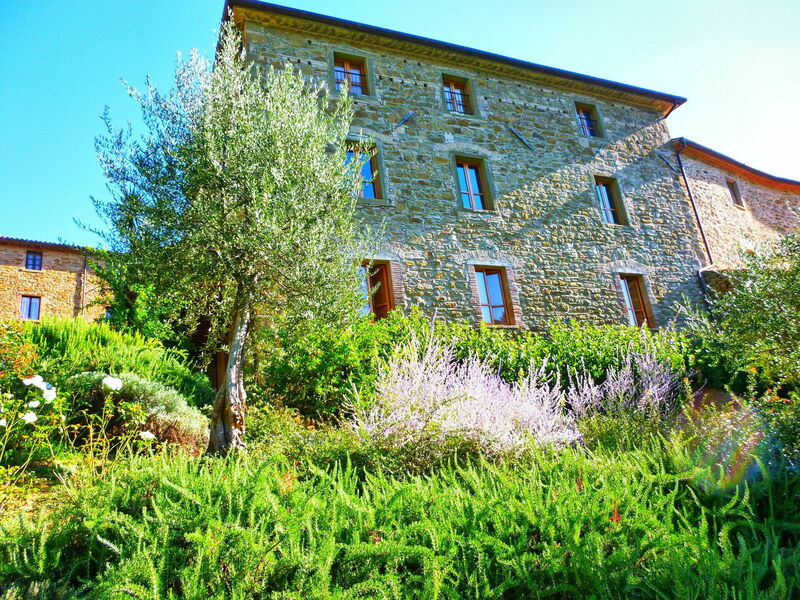 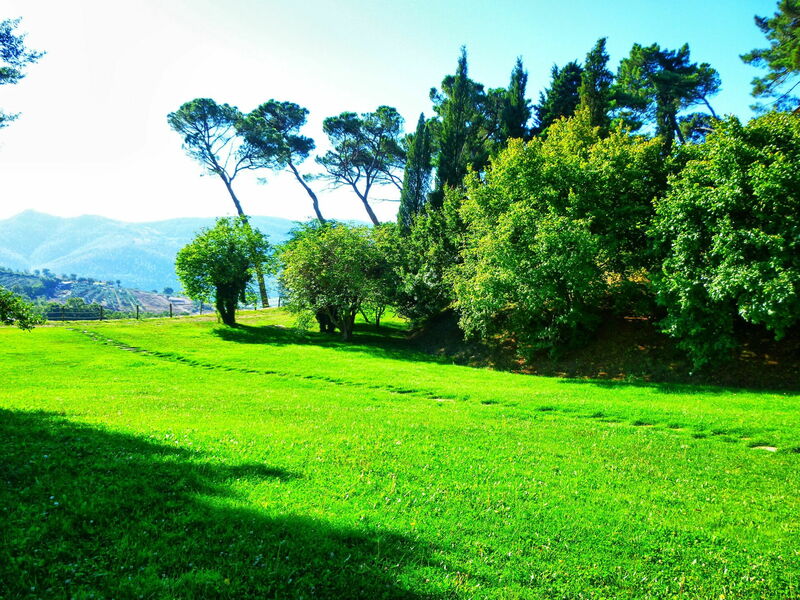 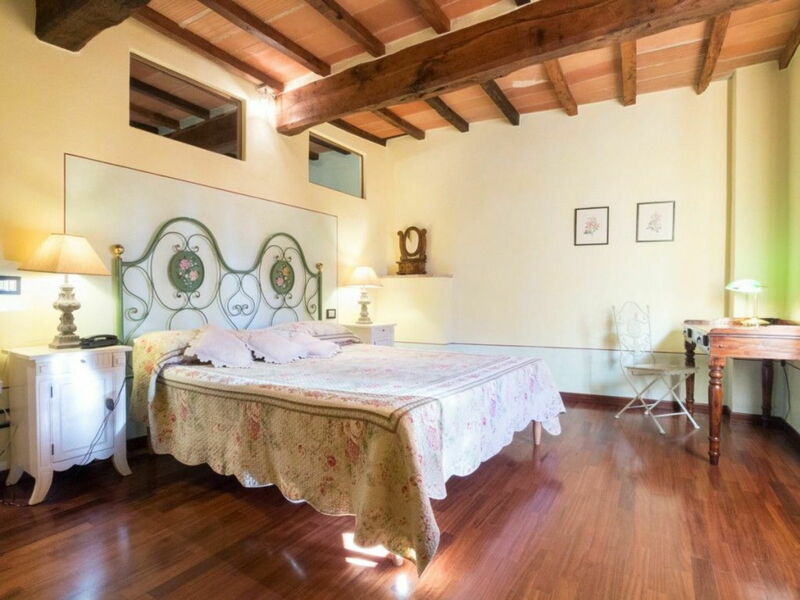 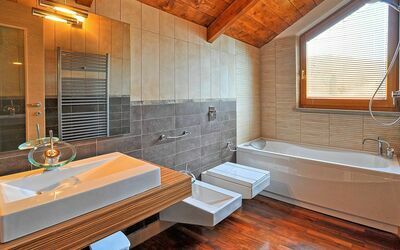 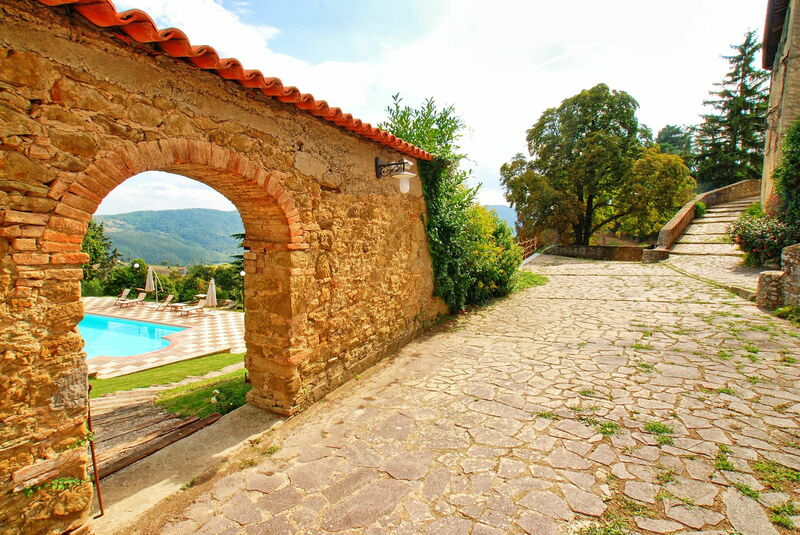 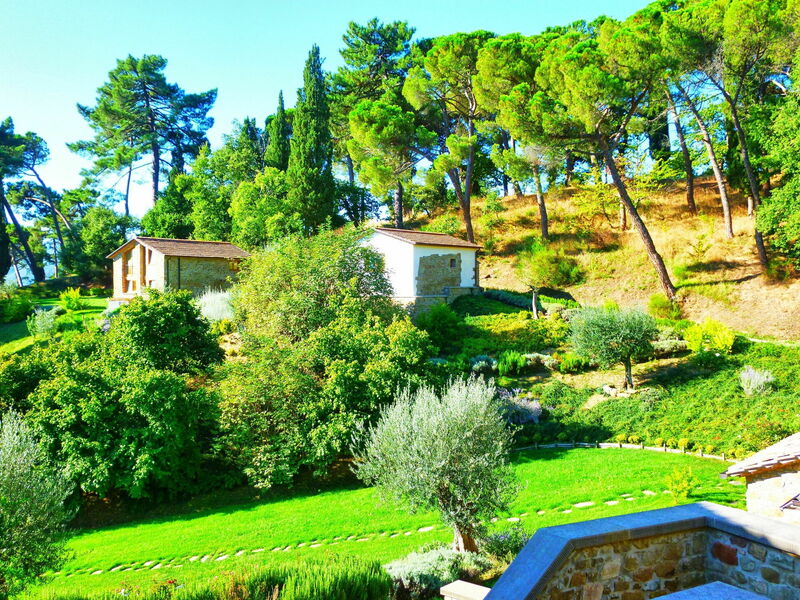 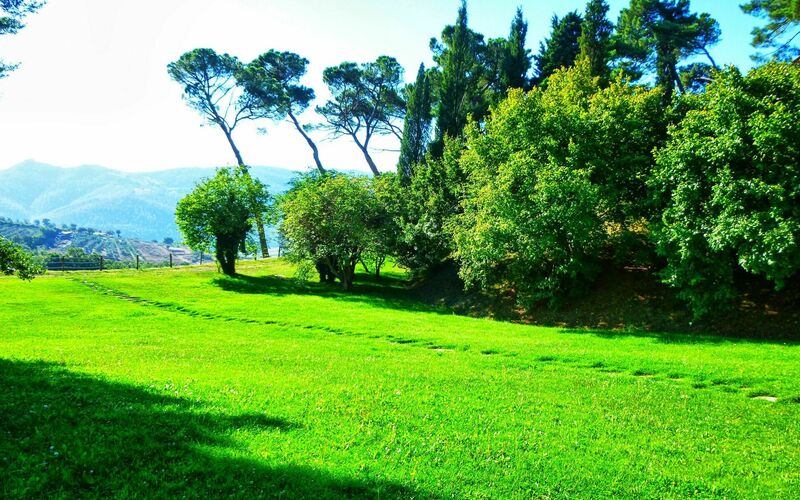 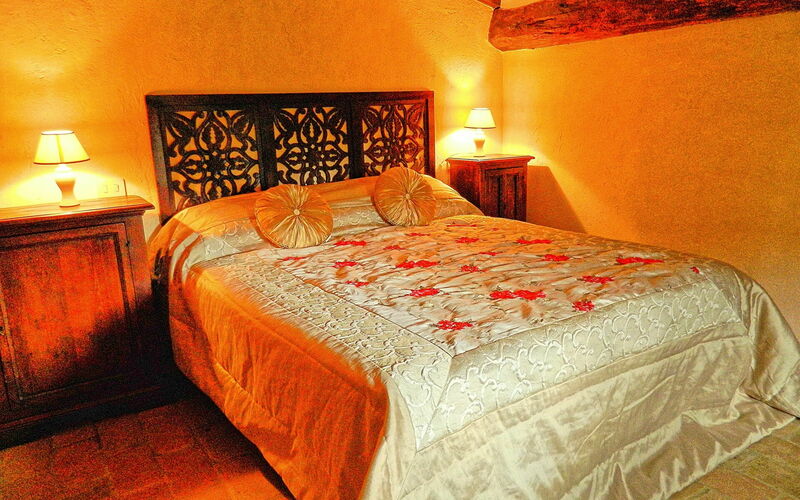 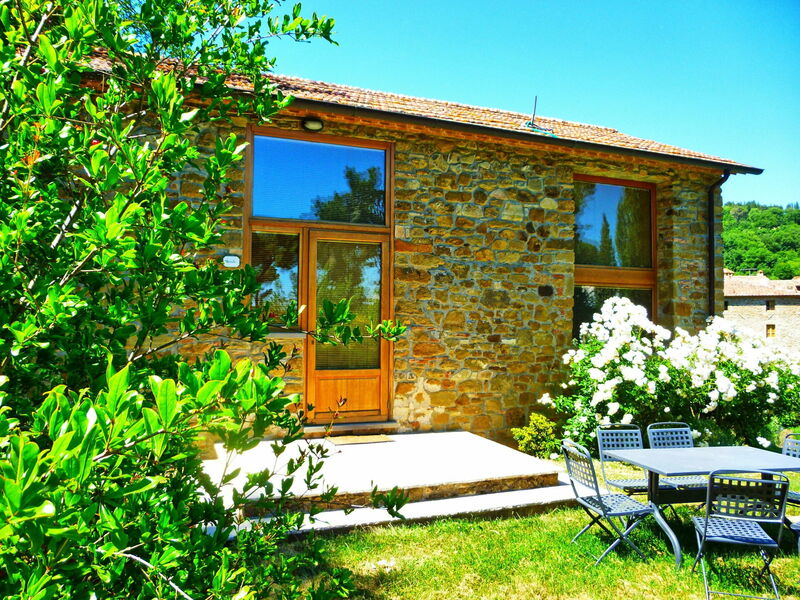 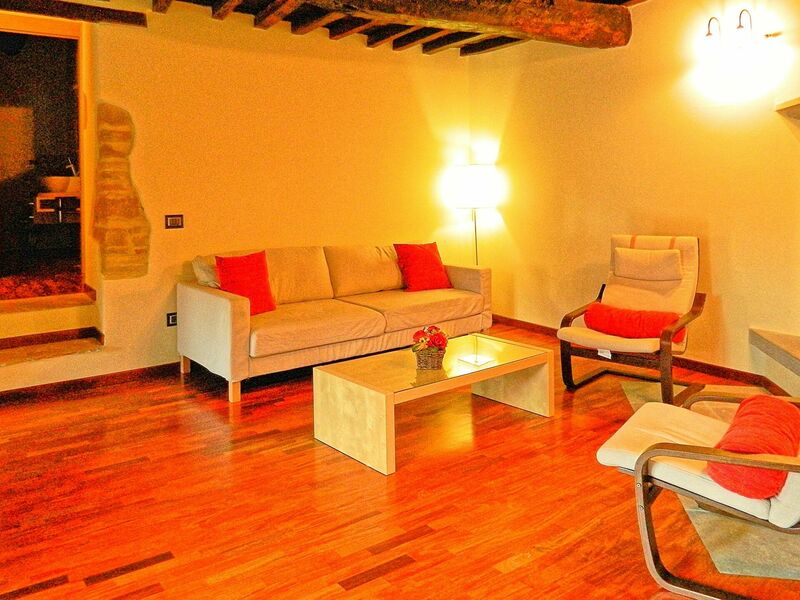 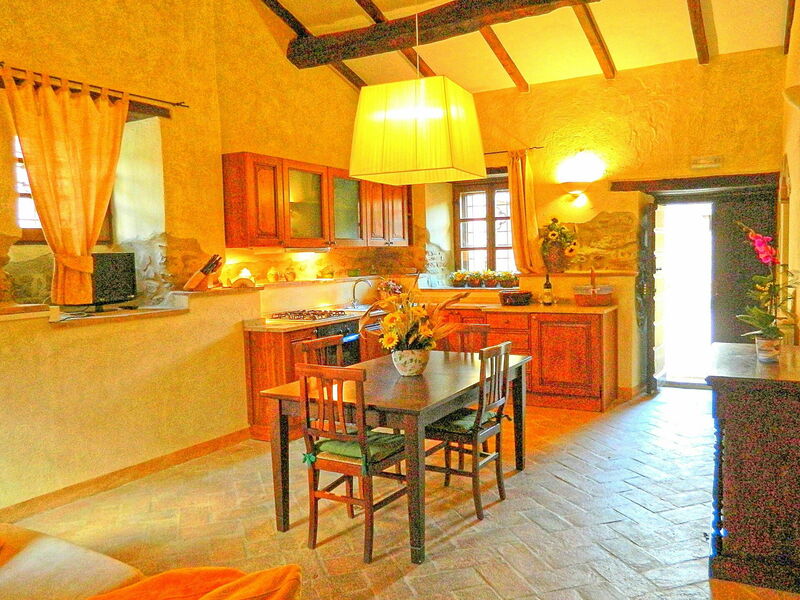 Borgo Toppo is an agritourism in a 12-hectare park surrounded by olive groves, vineyards and chestnut groves. The property is made up of 6 apartments (not connected inside) for a group of relatives or friends to rent all together and can sleep up to 19 people. 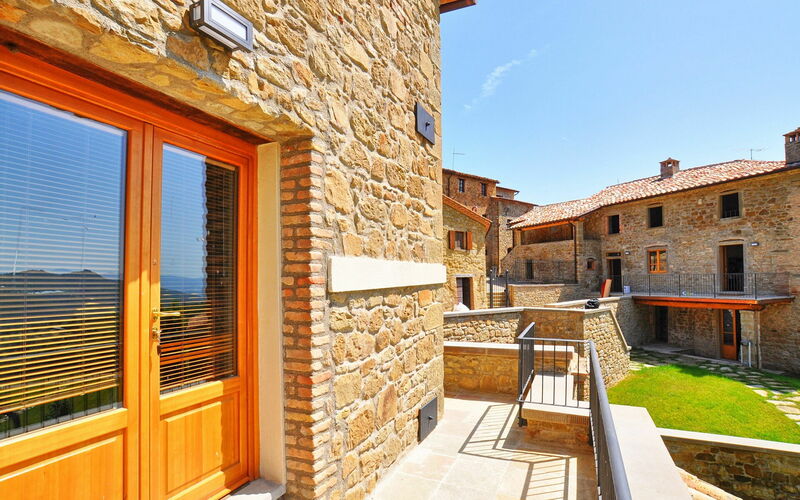 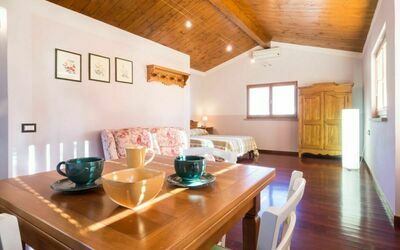 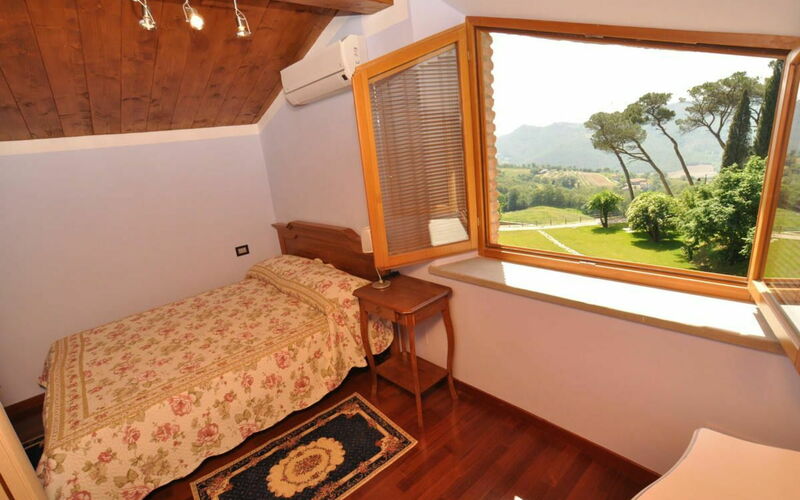 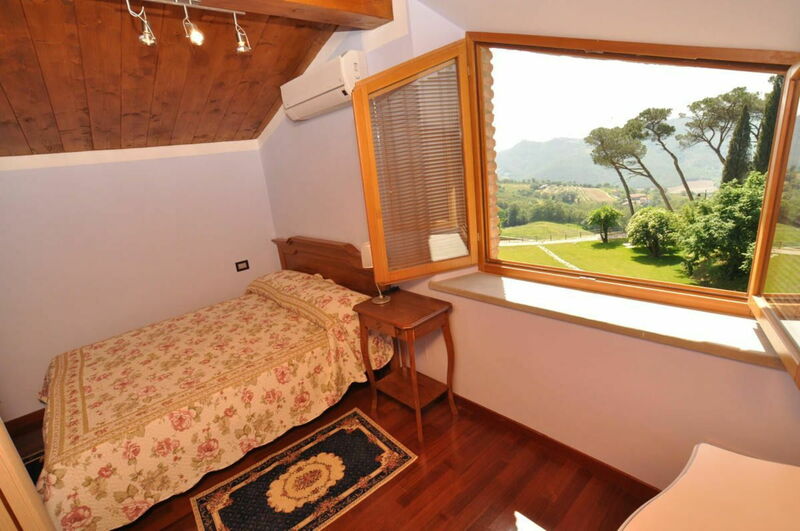 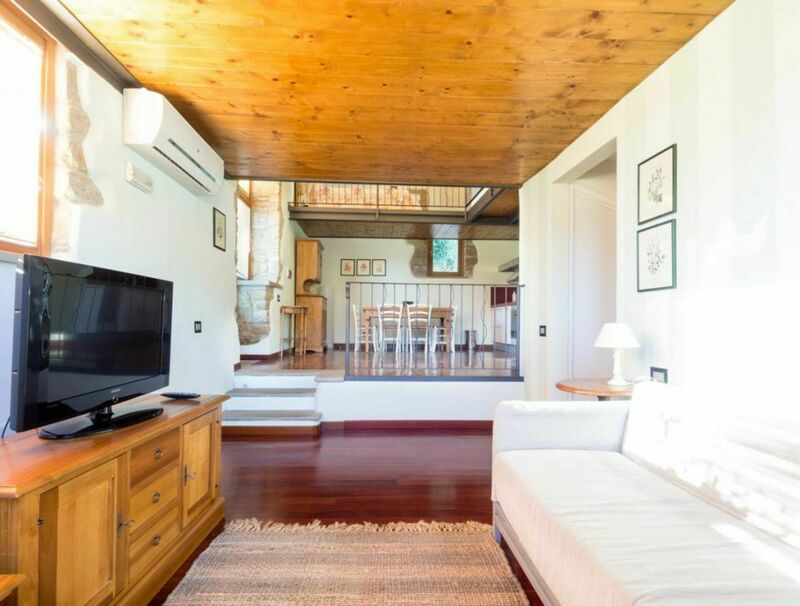 The apartments (Quercia, Castagno/Cerro and Essiccatoio) and the houses (Stalla, Fienile and Molino) are located inside the hamlet’s garden, and each has its own independent entrance. 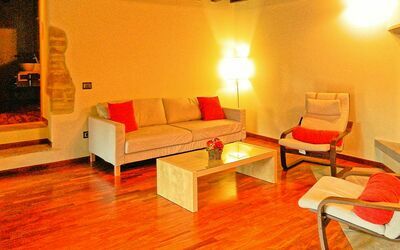 The equipment inside each apartment allows guests to be completely independent, but there are also common areas to dine all together. 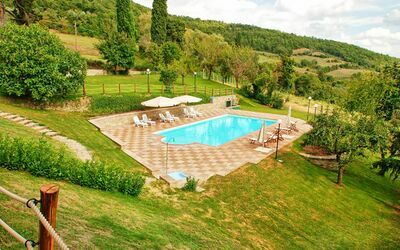 In the large garden there are a beautiful swimming pool with panoramic view and a cultivated ground with seasonal vegetables to pick free of charge. The farm’s organic products (wine, oil, honey) are available to taste and to purchase. 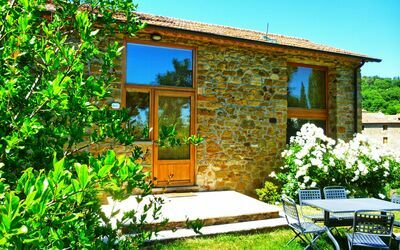 The border of Tuscany and Umbria is not far, so guests can easily reach Arezzo, Siena, Florence, Cortona, Montepulciano etc. 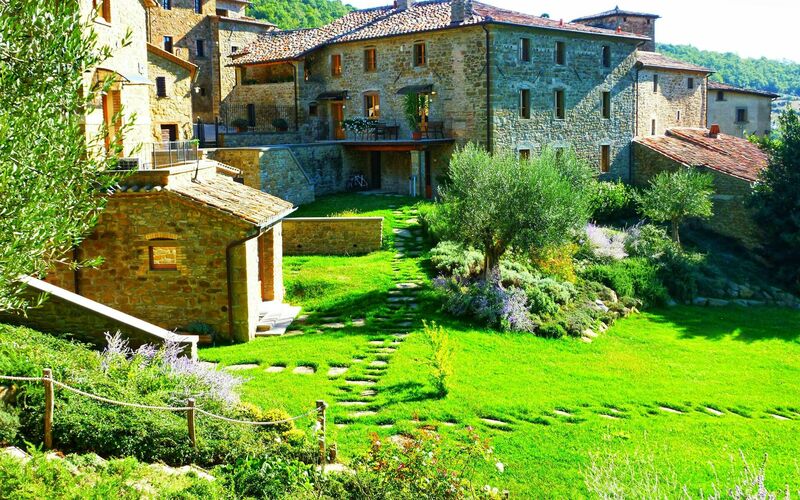 in Tuscany and Perugia, Gubbio, Assisi etc in Umbria. 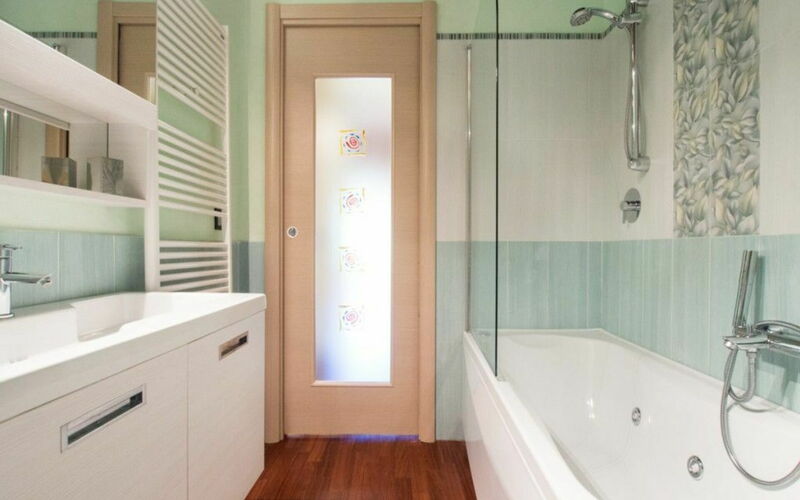 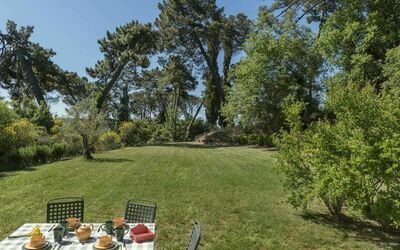 At guests’ disposal: large garden and well-tended outdoor spaces; private pool (14 x 7 metres; depth: 1,50 metres); 9 bedrooms to comfortably accomodate up to 19 people; WIFI internet; fans in every apartment; washing machine in laundry room that can be used twice a week. 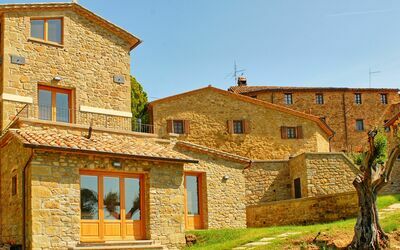 Distances: Morra (small supermarket) 3 km, Città di Castello 29 km, Cortona 35 km, Arezzo 45 km, Perugia 60 km, Assisi 70 km, Montepulciano 70 km, Siena 90 km, Todi 100 km, Florence 125 km. 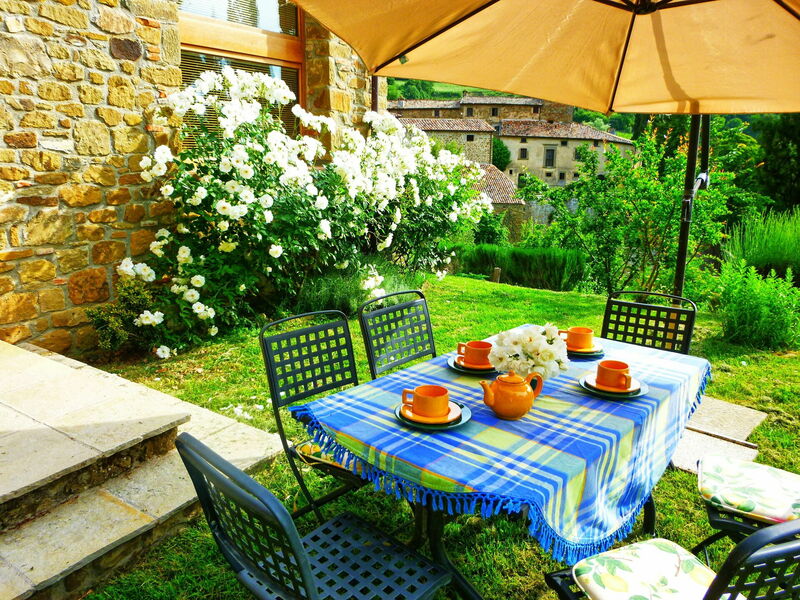 Terrace with table and chairs in front of the apartment. In front of the apartment there is a private terrace leading down onto a private garden with table, umbrella and deck chair. 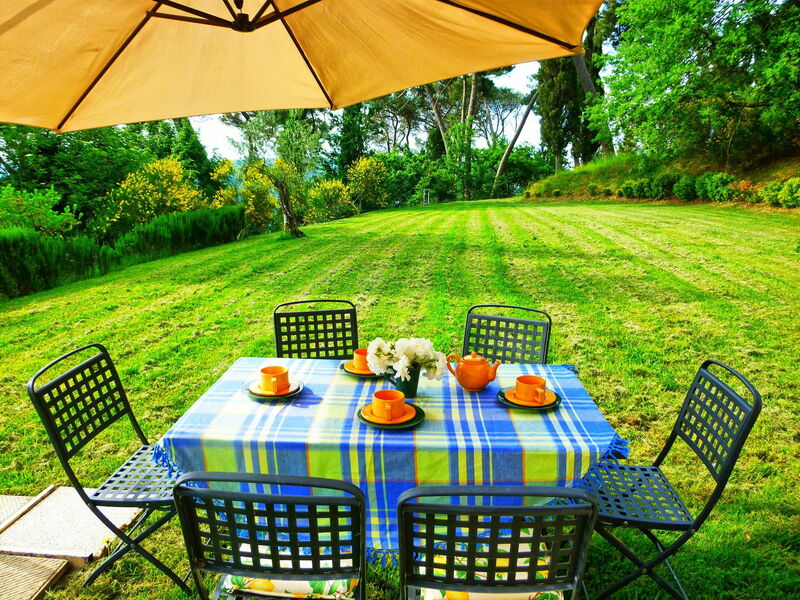 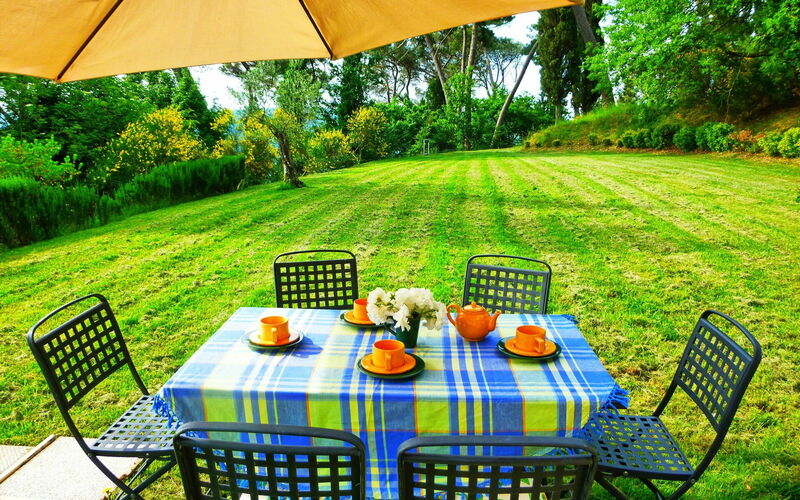 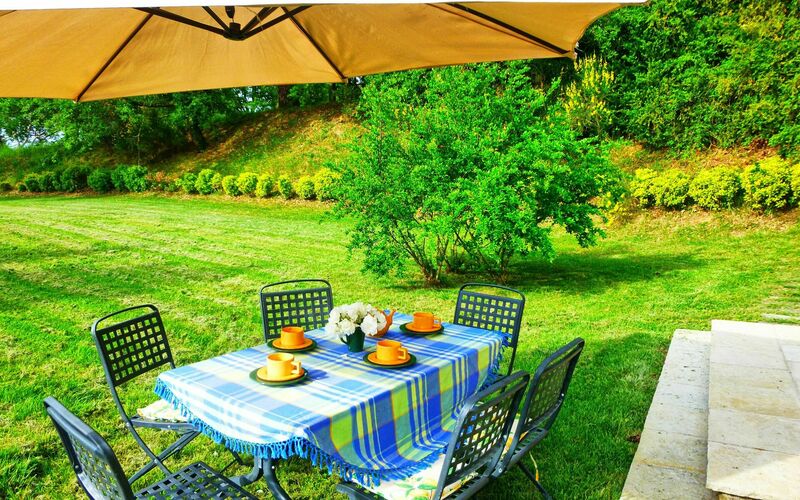 Private garden with table, chairs, umbrella and deck chair. 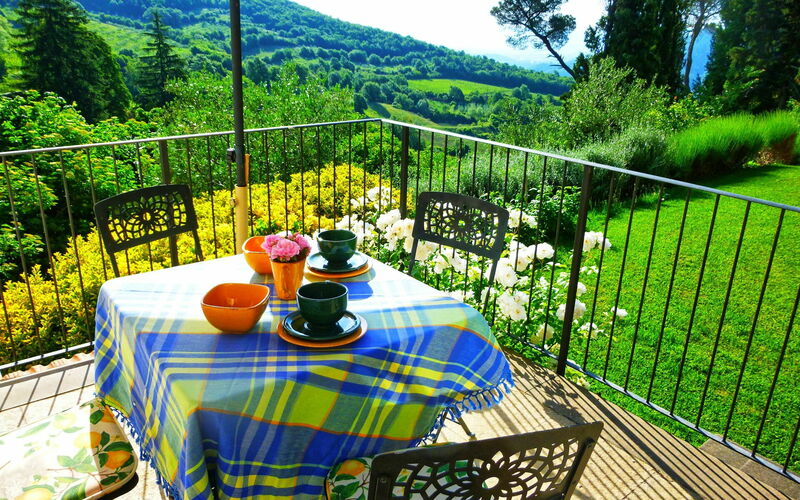 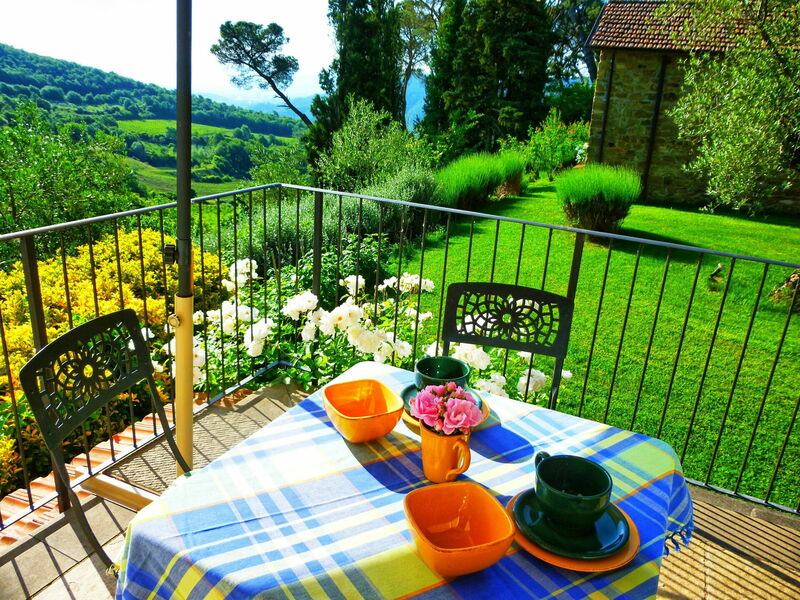 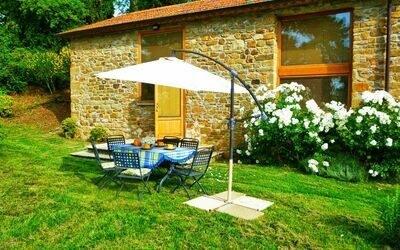 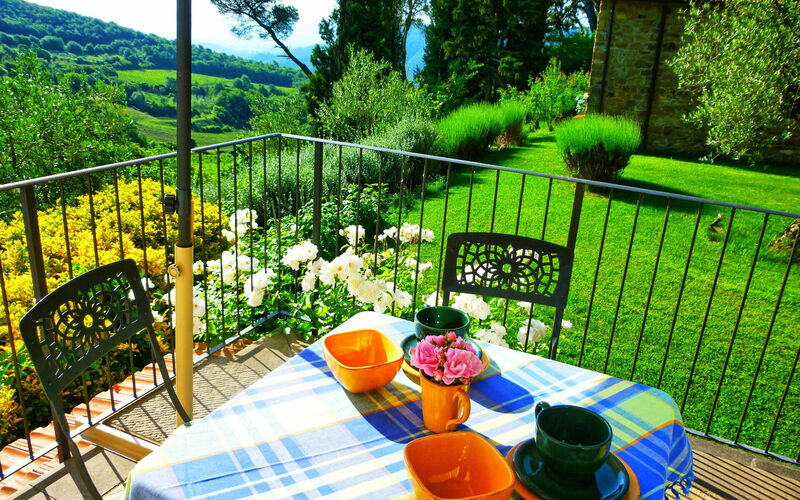 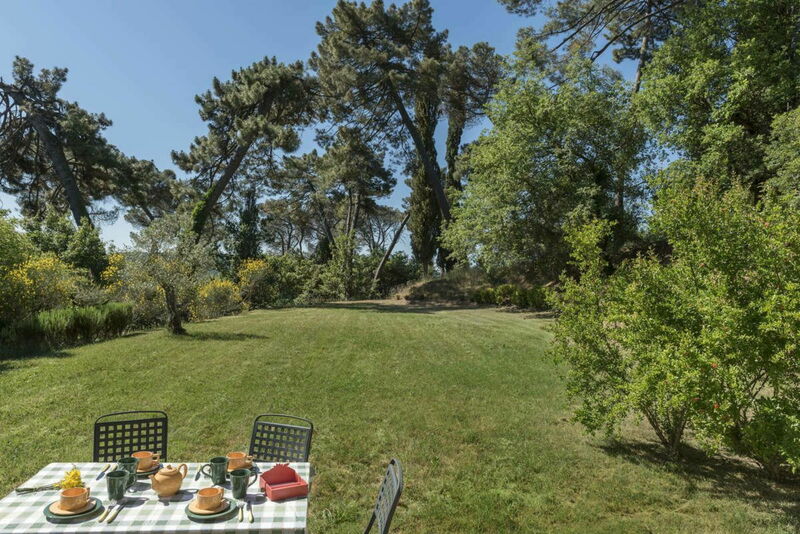 In front of the apartment there is a large terrace equipped with table and chairs, and a beautiful view of the hamlet’s garden. 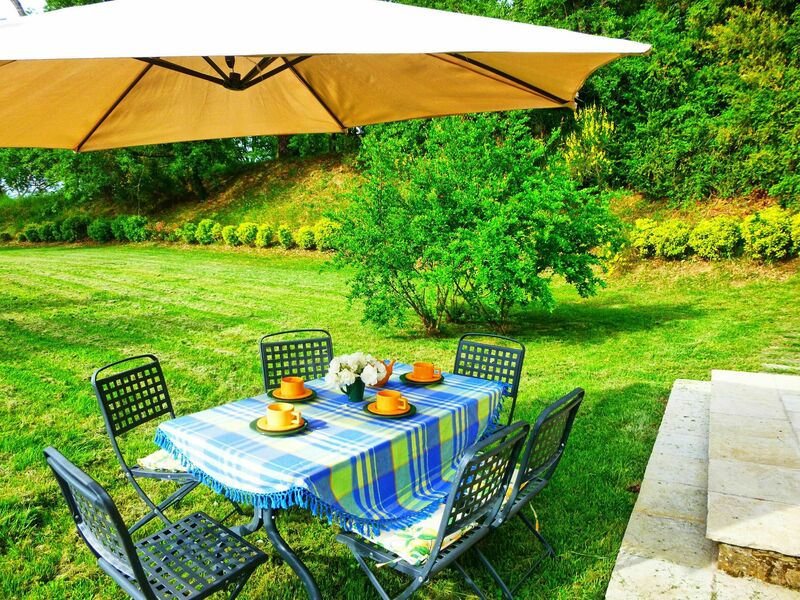 In front of the apartment is a private garden with table, chairs, umbrella and deck chair. 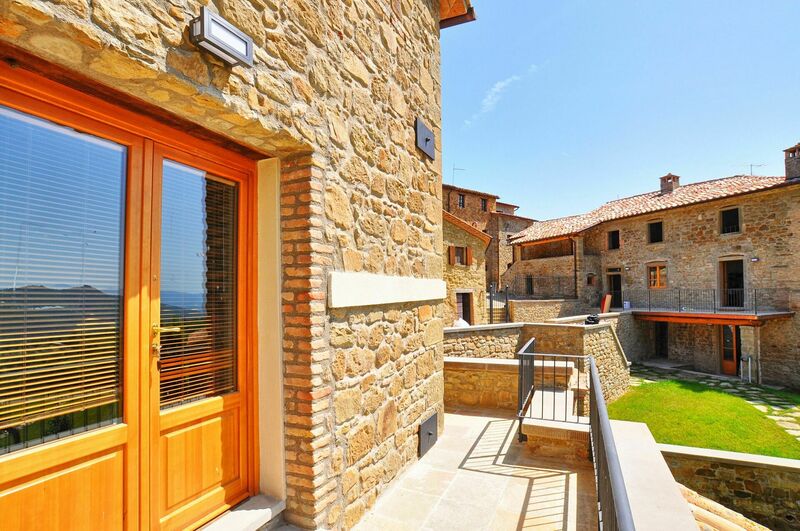 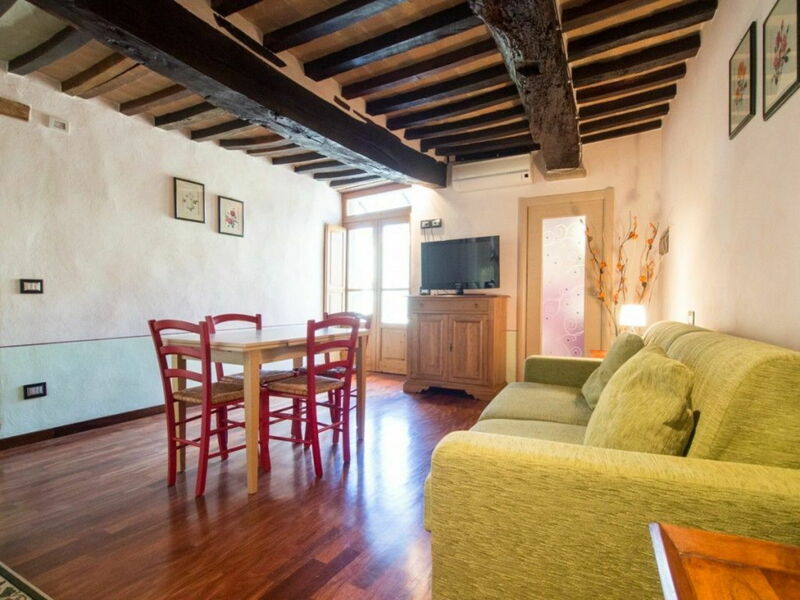 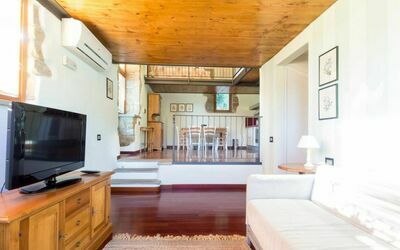 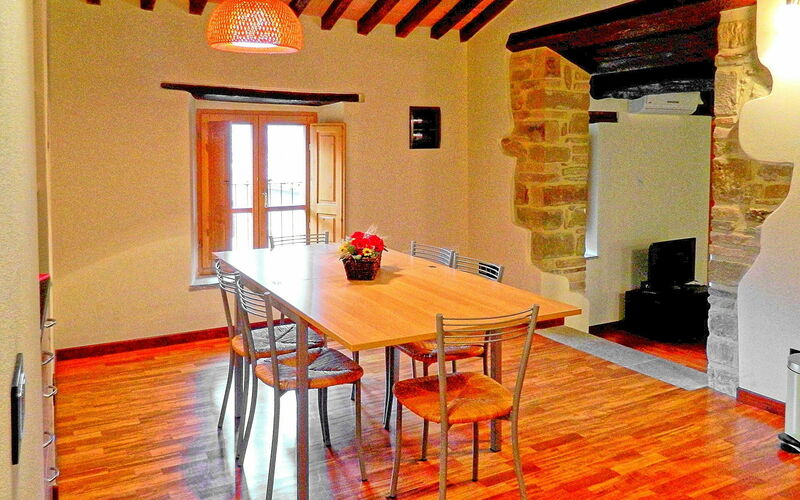 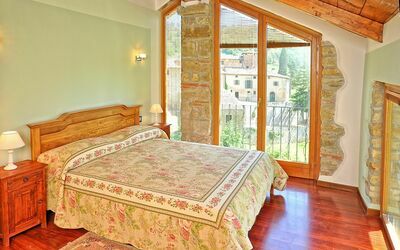 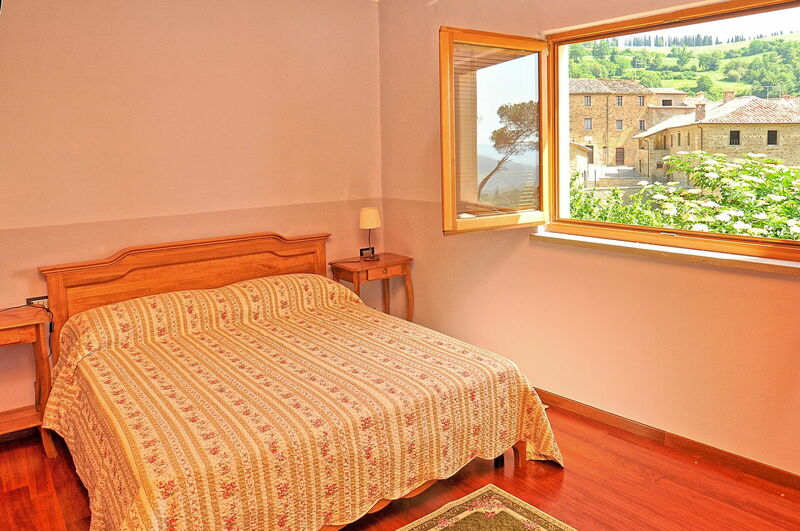 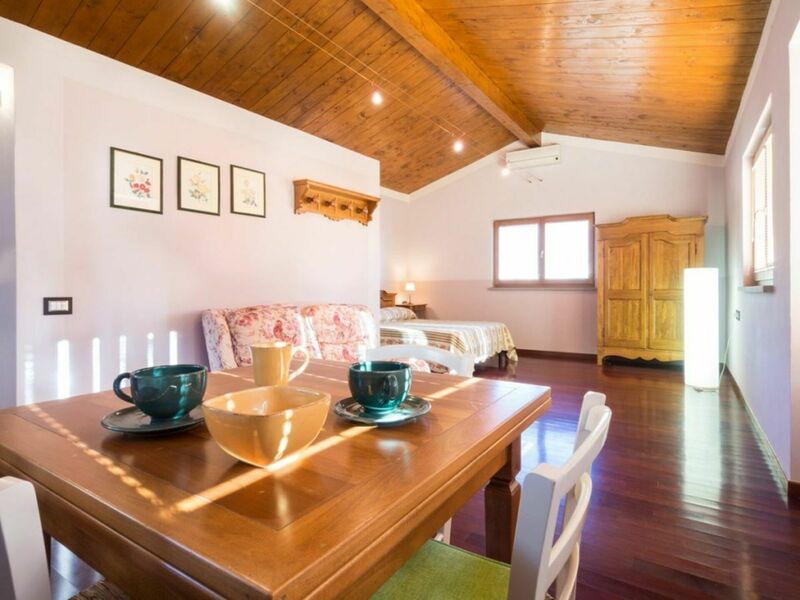 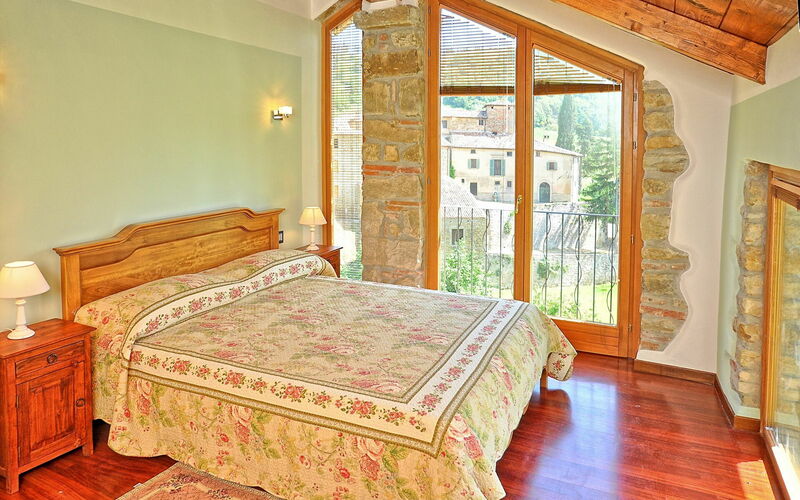 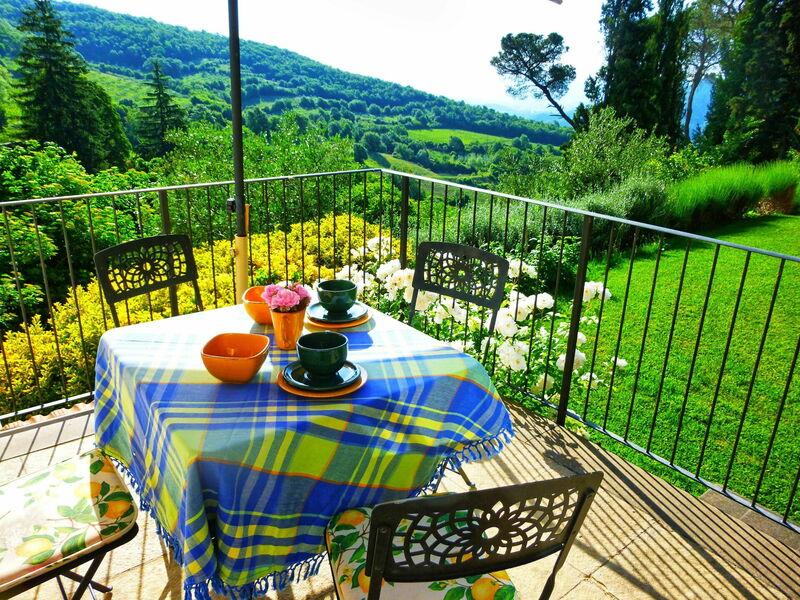 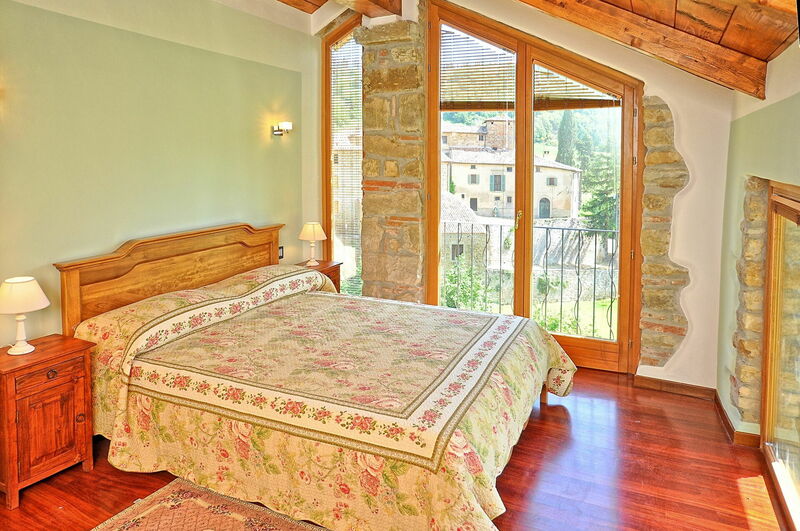 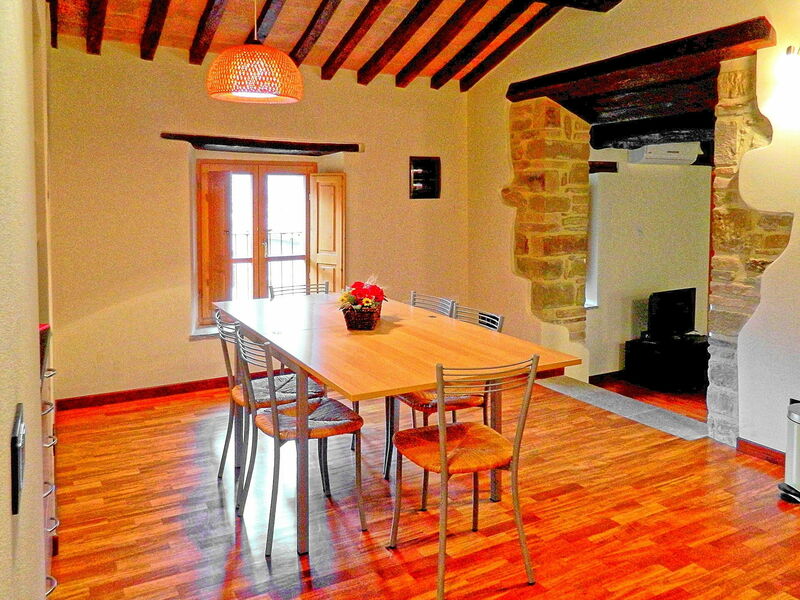 The apartment has a loggia with panoramic views of the hamlet. Ground floor: large room with living area, WC, dining area with kitchen (oven, freezer, dishwasher); there is also a laundry room with washing machine (can be used only 2 days per week).